Not everybody understands house music. This phrase has never been more on point than in todays over saturated market of ghost producers, cake throwers and unplugged DJ sets. Yet Traxsource’s roots can be traced all the way back to the very foundations that real house music was built upon. Company founders Brian Tappert and Marc Pomeroy have been involved in the scene since it’s humble beginnings and continue to carry the torch a quarter of a century later. 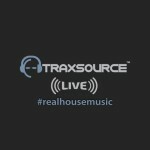 Traxsource is the modern home for real house music. Created, built and managed by DJs and producers with decades of experience who are just as active on today’s scene. Traxsource’s drive is fuelled by the ethos of a ‘music store with the attitude of independent record label’. So whether it was selling bespoke vinyl in the halcyon days of house or digital music to today’s tech savvy audience, the Traxsource team have always delivered the perfect platform for the finest labels and producers to promote their artistry. As well as supporting the hottest labels such as Defected, Freerange, Toolroom, Large Music and Simma Black, plus producers like Low Steppa, Detroit Swindle, Oliver Dollar, Purple Disco Machine and Green Velvet, Traxsource continues to actively seek out the ‘next big thing’ to help nurture their talent. The website hits continue to grow, with a social media reach of almost 500,000 people a week and climbing. The ‘Traxsource LIVE!’ radio show has a worldwide syndication of over 4 million listeners every week and this number continues to grow as more people begin to understand the true sound of the underground. The website itself is already a well-established arena for discovering talent. Many big labels look to Traxsource to find their latest sounds and the artists they want to sign. It’s not unusual to see a relatively unknown producer be plucked from obscurity and propelled to the next stage of their career thanks to Traxsource’s championing of real talent. The team have decades of experience in spotting the next superstar and many labels know that if Traxsource is promoting an artist, there’s a good reason why. To understand the journey of Traxsource, you have to rewind back to 1995 and a fateful meeting between sound engineer and musician Marc Pomeroy and club DJ Brian Tappert. Their first studio session together in 1992 led to the timeless classic ‘Deliver Me’, which to this day is still recognised as one of the most musically intricate pieces of soulful house ever produced. Frankie Knuckles was so taken with the track that he relentlessly played ‘Deliver Me’ for a full year off a rough demo on cassette tape! Combining their unique musical chemistry, Marc and Brian became known as ‘Jazz N Groove’ and began releasing records on labels such as Bassline, Suburban, Strictly Rhythm and AM:PM. They even had the honour of being the first ever release on Defected Records with the seminal Marc Pomeroy production ‘Can’t Get Enough’, which reached number 8 in the UK charts. Setting up their own label in 1996, Soulfuric Records, this imprint quickly became the benchmark for top quality house music worldwide and was home to the first releases by Copyright, Hardsoul and a little known Swedish producer called Axwell. It was actually Axwell who sent his first tracks into Soulfuric on MP3 via the Internet around 1999, proclaiming that this method of music distribution would be the wave of the future. Brian and Marc thought he was crazy, but Axwell was adamant. The idea was formed but continued to burn in the background as Marc and Brian’s label really stepped up its game in the physical world. Soulfuric continued to push high quality house music by opening a vinyl distribution outlet for artists like Miguel Migs, Basements Boys, Philly Groove and even Kaskade to release their music through the company and desperately tried to work out how to fill the growing digital demand. Yet Axwell’s vision of how music could be distributed quickly and easily in the future always remained and ultimately, his words ‘someone smart will work out how to make money from these MP3s’ rang true. With no existing model for downloads available online, the idea of selling music solely through the internet was considered quite insane at the time. Necessity is the mother of invention though and after three years of careful planning and development, Traxsource became one of the world’s first digital download sites in October 2004. Conceived initially as an outlet for Soulfuric releases, the website is now home to over 20,000 labels and a staggering 250,000 artists! Many of the original staff from the early Soulfuric days still remains in place. The current Traxsource Operations Director, Sheldon Prince, joined Soulfuric straight from college in 1999 and every other member of the Traxsource team is a fully-fledged house aficionado, like the legendary Cleptomaniac John ‘Julius’ Knight. The heartbeat of the company still has an old school vibe to how tracks and labels feature on the site. Every submission is vetted by genre managers for quality control in the same way a record shop would choose which releases to feature on their shelves. Traxsource prides itself on championing the underground sound of many different house genres and are held in high regard by DJs, producers and labels around the world. Whether it’s producing, playing or distributing digital music today or vinyl ‘back in the day’, the Traxsource team continue to provide the finest underground sounds to their ever-growing army of supporters. This house wasn’t built in a day. It was carefully crafted through decades of industry knowledge and hard work on the front line of the scene. Traxsource’s roots can be found in the very genesis of the house music movement itself and still to this day offer a platform for truly underground artists, labels and producers to flourish. Not everyone needs to understand it, because Traxsource IS house music.